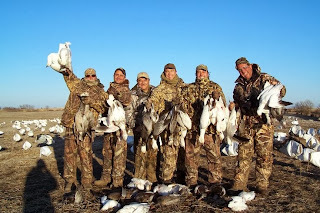 Snow goose hunting in spring is a memorable event and an activity that comes highly recommended. It is especially thrilling for individuals who enjoy watching birds and love wing shooting. However, for the first timers, it is important to understand why this form of hunting is popular. In 1999, the Conservation Order was signed in an effort to control the population of snow geese in Northern America. This is because the birds are literary eating their own food supply than it can replenish itself. If no intervention is done, the snow goose population will eventually collapse. This has allowed hunters to harvest as many birds as possible in an effort to get control over their population. The Conservation Order allows hunters to use unplugged shotguns and electronic calls as well as motion decoys during the spring migration. However, snow geese are highly wary and add their intelligence to the mix; they are extremely hard to hunt down. In order to make it possible to hunt them, outfitters have come up with a few strategies to attract the birds. As you shop around for an outfitter, it is crucial to understand that the professional should have a spread of between 1,000 to 1,500 decoys. This is because this amount of decoys are most likely to attract the attention of migrating snow geese. For the bird, there is safety in numbers. Most outfitters will use a mixture of full body decoys and windsocks to simulate movement, which geese love. For the first timer, the guns and ammo to use is a subject of curiosity. However, snow geese are not that difficult to bring down. It is advisable to bring along a 12 or 10 gauge shotgun that offers more pellets on a target within the desired range. at the same time, pay particular attention to shell velocity since the faster it comes out of the barrel, the more downrange energy retained in the shot. The realistic bird harvest is 15 to 25 birds a day. Although 50 are also quite common, one should consider various variables, including weather and migration fluctuations. Hunting younger birds is easier than going after adults. This is because they decoy easily and are not as smart. On the flip side, they migrate further than their adult counterparts do since they have not matured enough to nest. You are likely to see fewer juveniles, but you will be able to hunt more of them. 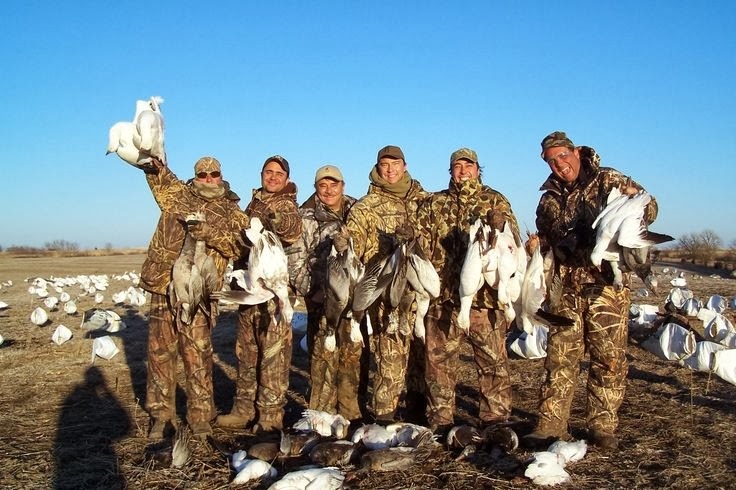 One of the reasons that makes guided snow goose hunts popular is the invaluable experience and knowledge that guides have accumulated while on the field. They have an intricate understanding on how to set a spread, adjust the decoys such that the birds center and offer the best targets. They also know how to read birds and know the best time to call for shots. Since snow geese approach the laid decoys from above you, you have the unique chance to watch them circle, glide and study the spread. If they like it, they gradually drop closer. Always expect to make 45-degree angle shots or straight up. Your guides will always take care of bird retrieval as well as chase down crippled birds on four-wheelers. The guide will appreciate any help you offer since the activity is labor intensive. To better understand what the guide can and cannot do check out http://www.showmesnowgeese.com/snow-goose-hunts/ for more information.